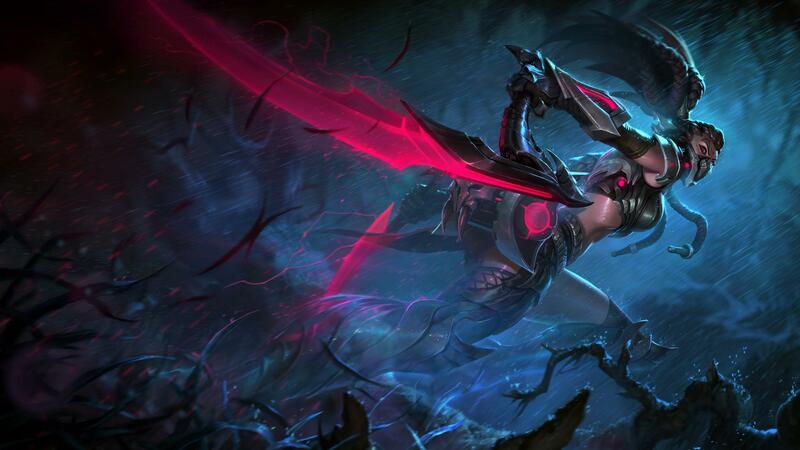 League of Legends news » Akali available now! The Kinkou Order teaches balance in all things. Sometimes balance needs a shove. Your enemies? They’re already dead—they just don’t know it yet. Outplay your opponents with smoke bombs, shurikens, kunai and kama. Make your move—Akali, the Rogue Assassin, is available now. Legacy skins (Stinger, Infernal, and All-Star Akali) are also available individually during this time. Personalize your deadly pursuit with the Headhunter Akali Chroma Bundle for 1935 RP (2725 RP if you need Akali).